Ahead of next week's 72nd meeting of IMO's Marine Environmental Protection Committee (MEPC72), the International Chamber of Shipping (ICS) today has reiterated that the development of zero CO2 bunker fuels is the only way shipping can cuts its emissions by 100%. 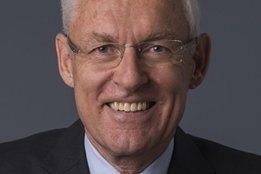 As such fuels are expected to only become available in the latter half of this century, those pushing for the goal to be reached by 2050 could end up causing more harm than good, says ICS Chairman, Esben Poulsson. "Agreement upon a mid-century objective for the total reduction of CO2 emissions by the sector, regardless of trade growth, will be vital to discourage unilateral action and to provide the signal needed to stimulate the development of zero CO2 fuels," said Poulsson. "But the very high level of ambition proposed by certain EU Member States – a 70 to 100 percent total cut in emissions before 2050 – is unlikely to achieve consensus support." Instead, ICS points to alternative proposals made by China and Japan as being more realistic, and suggests IMO should look to set an initial objective of cutting the sector’s total CO2 emissions by half. "This would still require a major improvement in ship efficiency over ‘business as usual’. When account is taken of the anticipated growth in maritime trade, ICS says this would still only be possible with the widespread use of zero CO2 fuels," said ICS. Poulsson says such a move would "still provide a compelling signal to the industry." "This should also be sufficient to stimulate the development of zero CO2 fuels leading to a 100 percent CO2 reduction in line with the ambitious vision which IMO must agree."